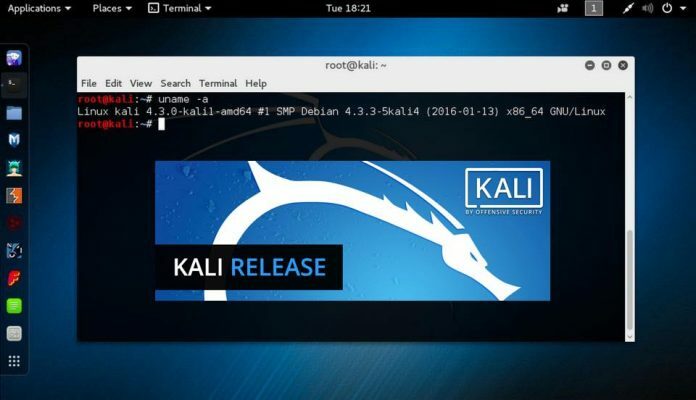 You heard many times about Kali Linux but you never installed this on your own PC, today we are covering all the steps of How to Install Kali Linux.Now, you can install Kali Linux without harming your PC. We saw many people at boot-loader or hard drive selection issue, this guide will help you to install Kali without any issue. Steps to Install Kali Linux on your Computer? First, you need to make a Bootable USB or CD, it is very easy all you need to plug in the USB and select your Distro and version from the tools and it will start installing the distro in your CD or USB. When you finished making a bootable USB or CD, then you need to plug in the USB or CD and restart the PC, and from the bios enable boot from USB or check the settings which your manufacturer has provided in BIOS. To start the installation process, boot theKali Linux distro by your chosen USB and CD, then you will see the Kali Boot Screen, Select from Text mode or graphical mode to install the distro. We are going to choose the Graphical Installation. Choose your preferred language for the installation process and then select your country location.You also need to set up your keyboard layout. Then it will configure the network and if you have a DHCP server form router or from our local dedicated DHCP server. If you don’t have any server then assign the IP and hostname as follow. After this, you need to provide the Gateway IP address of your default router. If you don’t have a router, then you can leave this blank or you can consult your network administrator to configure it. We are using the gateway router IP 192.168.0.1. Then you need to enter the IP address of Name Server (DNS), if you are not using any name server, you can leave this option blank. In our case we have a local DNS, so we are entering our DNS Server’s IP address as my name server. Now enter the hostname for your Kali Linux installation, by default it shows “kali” as a hostname, but you can enter your own. We are using “Kali” as our hostname. if you have a domain name then enter the name in this section or you can leave this blank. Next, you need to set up a password for the root user, choose a strong password so that your account or PC will be safe from any threats or hack. Now you need to configure the clock according to your location, if you have connected to the internet then this will setup it automatically. In next step its time to make partition of the disk for the installation process. Choose LVM and if you want to extend more space in future. We select Guided-Use enter disk and set up LVM. Now choose the Disk from the list, we have only one disk to choose, then click on continue button. For making our installation easier we are choosing All files in one partition in our next step, this is the recommended option for the new users of Kali Linux. Before the LVM configured, the proper partitioning scheme has to be written to disk and these changes cannot be reverted back. So, make sure to take a backup, if you have any or choose YES to confirm the changes to the disk and configure LVM. In the next option, you get a complete overview of the current partition layout and mount points, which is configured automatically form the installer. If you want to change anything you can do this and then select Finish partition and write changes to disk and click on continue. Now you need to connect the format the disk by using below file-system types. With root and swap. Choose YES and click on Continue. This will start to copy the files from media to disk and get install Kali Linux. After copying files, you will be asked to configuring package manager. In this step, we’re going to configure the mirror network to get the packages for the future installations. If you don’t have an internet connection, you can choose NO, to depend on media repo, if you choose a network mirror to YES, it will get prepared to use the available nearby repository mirror. In some organizations they have their local mirror, in such case, you can enter the information of your local mirror URL here, or else just click on Continue to move forward for the further installation. After configuring package manager, it will download and install packages from the chosen mirror, and then choose YES to install the GRUB boot loader in our system. After installation completes, click on Continue to finish the installation, and make sure to remove the installation media, before rebooting the machine. After rebooting the machine, you will be prompted with Kali Linux boot menu, from the list choose Kali GNU/Linux without recovery mode to boot normally to the system. After system booting, you will get the login screen for Kali Linux, use the default username as ‘root’ and password which you’ve set during the installation time at #step 8. To upgrade the Kali Linux type apt-get command in the terminal. We don’t have to download the ISO files and have a fresh new installation, just issue the following commands to upgrade the running system to a newer version. 8 Best Linux Distro available for a newbie as per your need. Facts you should know about Windows 10. Next articleWorld’s first head transplant will be carried on first quarter of 2018.